East of airport and heads northeast toward Brampton. 6+ miles, some dedicated, some on road. Easiest access is from Mt. Charles Park east of airport. Originally a dairy farm, it was opened as a park in 1967 to commemorate Canada’s 100th anniversary. Recently one of the main venues for the 2015 Pan Am Games. 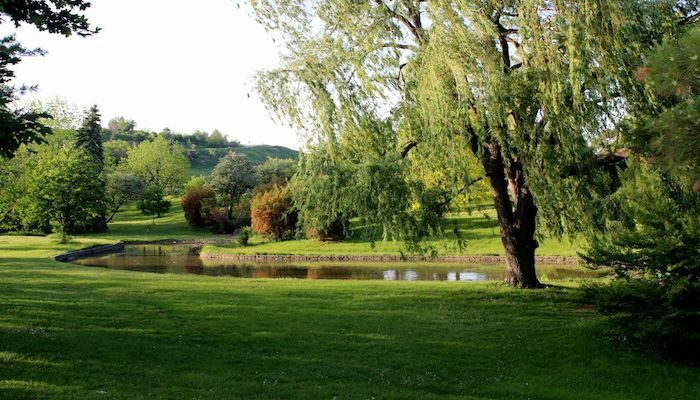 The park also has a number of playgrounds, sport fields, baseball and softball diamonds, picnic areas, and a small ski hill built on top of a former dump! There are all sorts of trails in the park. Connect to the Etobicoke Creek Trail at southern end of the park at Centennial Park Blvd. 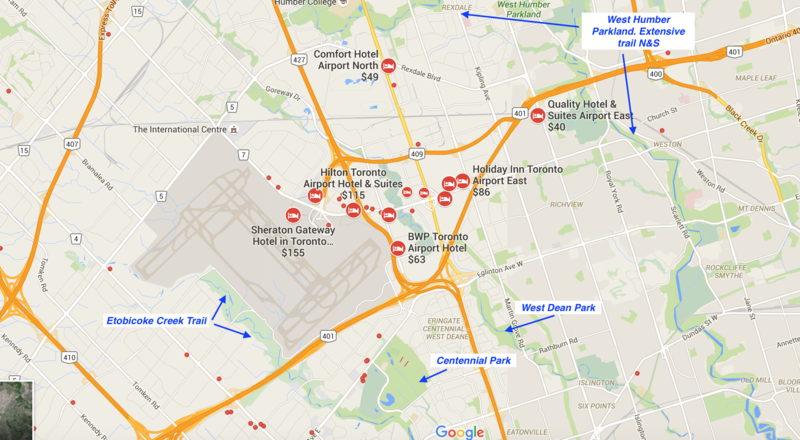 About 2.5 miles south of the Toronto Congress Center. A 2.5 mile path (one-way) connecting several parks from north to south: West Deane Park North & South, Ravenscrest, Hampshire Heights, Echo Valley. Martin Grove Rd. is a good reference point. 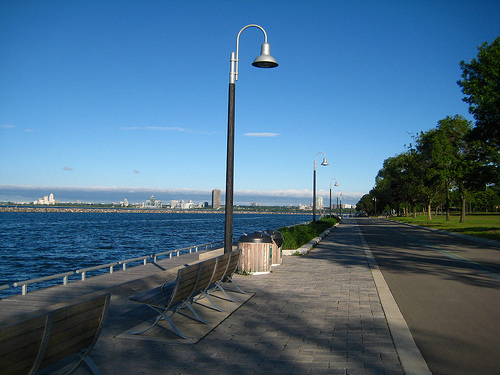 About 4 miles east of the airport is the West Humber Parkland. 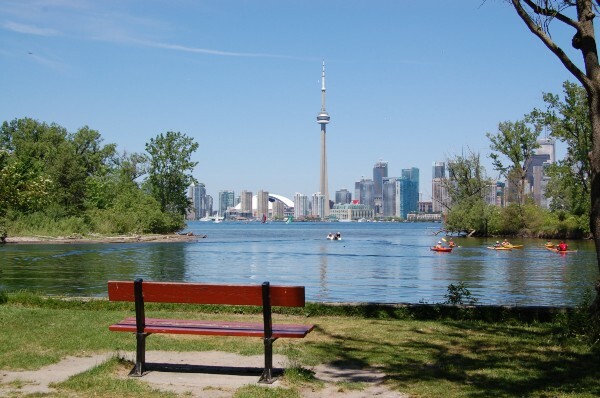 There are trails that go for miles north and south, most notably the Humber River Recreational Trail.